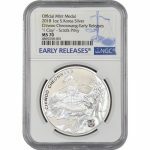 When it comes to buying silver, modern collectors and investors have more choices than ever before. 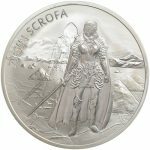 Silver and gold coin programs are available from sovereign mints around the world, while silver rounds, gold and silver bars, and a host of other silver products are constantly produced to meet the demand for collectible and investment-grade silver. 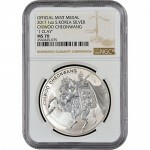 Among the newer options you’ll find is the Silver South Korean Chiwoo Cheonwang Medal from KOMSCO. 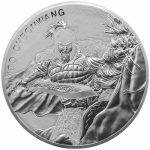 The Silver Chiwoo Cheonwang Medal is like many other coins released by a national entity in that it features designs based upon images that are culturally or nationally significant to a group of people. In this case, the legendary Chiwoo Cheonwang is the focus of the annual-release program that launched in 2016. 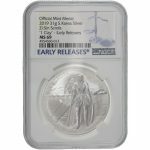 This brilliant silver bullion series is now available to you online at Silver.com, so take a moment to learn more about this exciting offering! 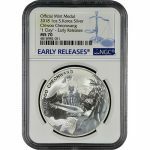 KOMSCO, known formally as the Korea Minting and Security Printing Corporation, was founded through full investment from the National Treasure of South Korea under a special law enacted in 1951. Today, the mint is the sole currency manufacturer for the Republic of Korea, and it operates under the direct control of the government in Seoul. The primary function of KOMSCO is to manufacture banknotes, coins, national bonds, and various other securities issued by the government of South Korea. Additional services included the manufacture of currency safety bonds issued by the Bank of Korea, postage stamps, special government certificates, and any other special printed items for the government. The mint operates a highly sophisticated facility in Daejeon, South Korea, where it places high priority on research and development, as well as innovation and evolution in security technology. 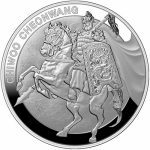 The Silver Chiwoo Cheonwang medal is just one of the many brilliant products manufactured by KOMSCO on an annual basis. 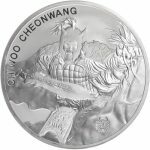 KOMSCO first released the Chiwoo Cheonwang silver medal in 2016 with a mintage of 30,000 coins, and bumped that mintage up to 50,000 for the 2017 release in the face of immense demand for this unique silver coin for sale. 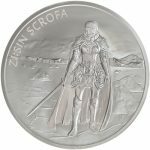 While that is an increase of 20,000 coins, roughly half the mintage sold out when the coin went on pre-sale with KOMSCO. 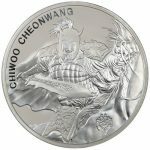 KOMSCO launched the South Korean Silver Chiwoo Cheonwang Silver Medals with just a 1 Troy oz weight offered. The design features of that original release depict the fearsome God of War standing on the ground bearing his traditional shield, wearing his feared mask, and brandishing a long spear in his right arm. On the face of his shield you’ll notice a depiction of the mask that traditionally covers his face. 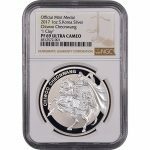 Building upon the debut success of the 2016 issue, KOMSCO released a second annual medal from the program. 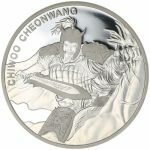 The reverse side of the coin includes the same detailed, close-up design of Chiwoo Cheonwang’s shield and the same set of engravings encircling it. 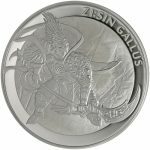 The obverse of the medal, however, underwent a slight change that served to bolster the imposing depiction of the God of War. 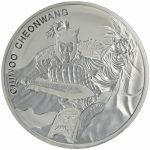 On the obverse of the 2017 South Korean Chiwoo Cheonwang Silver Medal you’ll find the God of War himself, still clad in his traditional gear and brandishing his shield and spear. This time, however, he is featured astride a powerful war house that has its front legs raised in the air as Chiwoo Cheonwang stares down the viewer. Why is “Clay” in the Title? 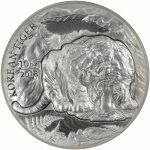 Most listings for the Silver South Korean Chiwoo Cheonwang include the use of both 1 Troy oz and “Silver Clay.” KOMSCO introduced the use of Clay for the first time with this series. The use of 1 Clay refers to a concept of measurement meant to relate a certain amount of land. 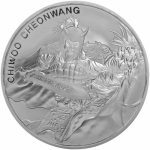 The mint describes it as “soil, earth, dirt, ground, or land.” The Chiwoo Cheonwang medals have no legal tender denomination attached, but the 1 Clay relates a value of 1 Troy oz of silver to a certain amount of land instead. 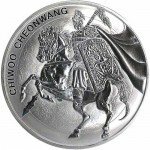 At Silver.com we make it easy for you to purchase the Silver Chiwoo Cheonwang Medal you want from our catalog. Silver.com proudly accepts major credit and debit cards, with no minimum purchase price and a maximum of $5,000. PayPal fund transfers are our latest offering. In addition to a $0 minimum and a $60,000 maximum, PayPal transactions process instantly and enter the shipping queue immediately. Paper check payments have a similar $0 minimum and a $40,000 maximum, and while they take four to six business days to process, you’ll enjoy a 4% savings on your purchase price compared to credit/debit payments and PayPal transfers. We also accept bank wire transfers. 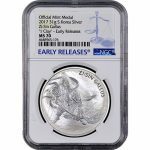 The minimum is higher at $2,000, but the $100,000 maximum makes it easier for you to invest in as much silver as you wish. Bank wire payments process instantly and enter our shipping queues immediately. All Silver.com shipments are packaged in discreet boxes to protect the identity of your products during shipment. 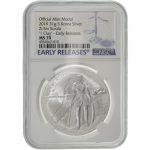 Packages are delivered via the United States Postal Service or UPS, and should they become lost or damaged, Silver.com will work to correct the situation. We can either start an insurance claim on your behalf to secure a refund of your money, or work with the carrier to track down your package. 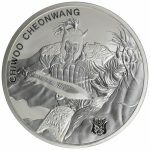 If you have any questions about Silver South Korean Chiwoo Cheonwang Medals, payment methods, or shipping options, please feel free to contact a Silver.com associate. Our team members are available on the phone during regular business hours at 888-989-7223, online using our website’s hosted live chat, or by submitting your questions to us in writing via email. 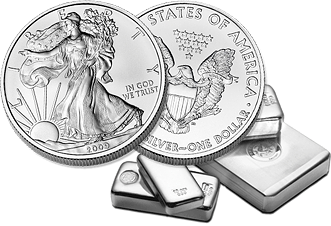 Don’t forget you can also visit our homepage to the latest price of gold and silver!